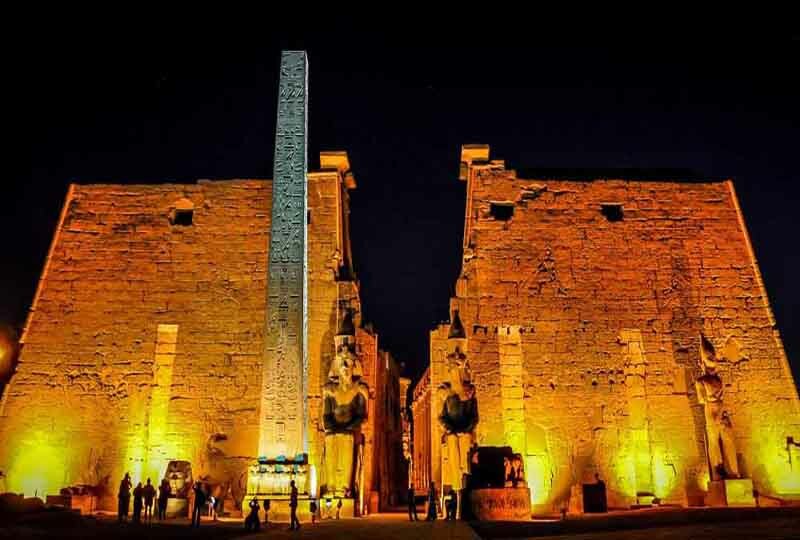 Watch sound and light bring the Karnak Temple to life at a 2-hour show with private transport from Luxor. 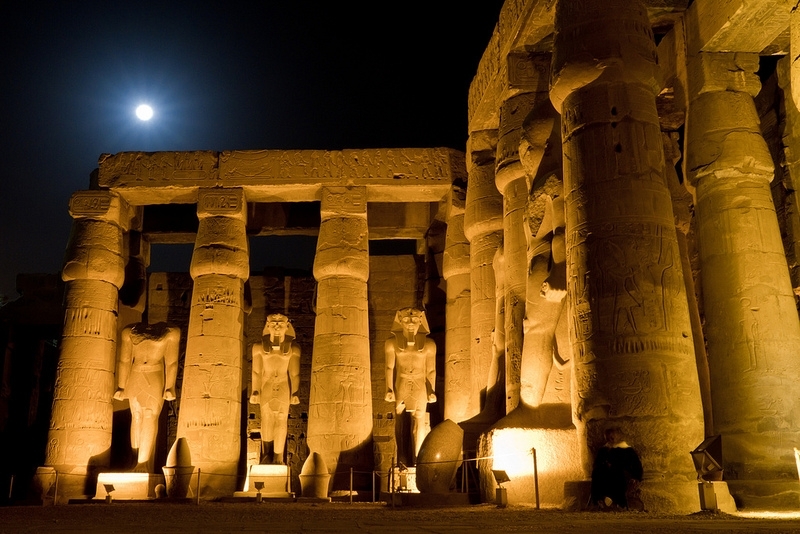 Learn the vivid history of ancient Thebes and hear tales of powerful pharaohs. 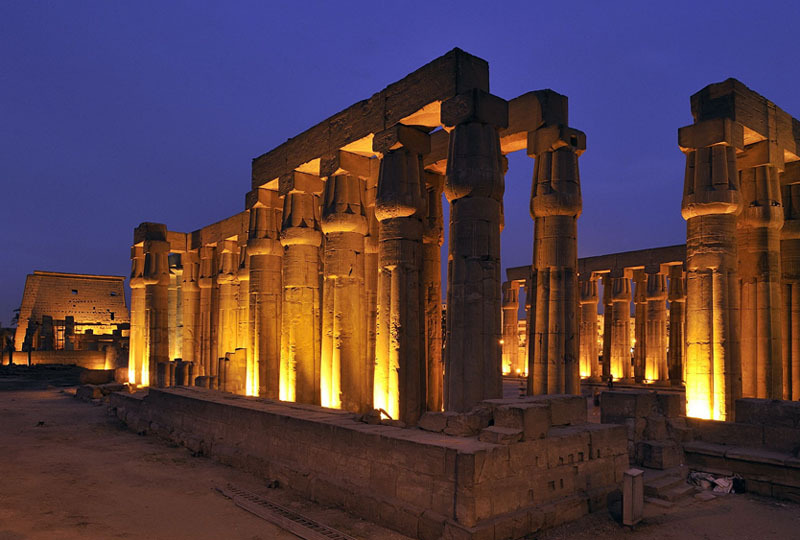 Walk through the temple complex as the kings tell their own stories, then sit alongside Karnak’s sacred lake and see the stones, pillars and statues light up. 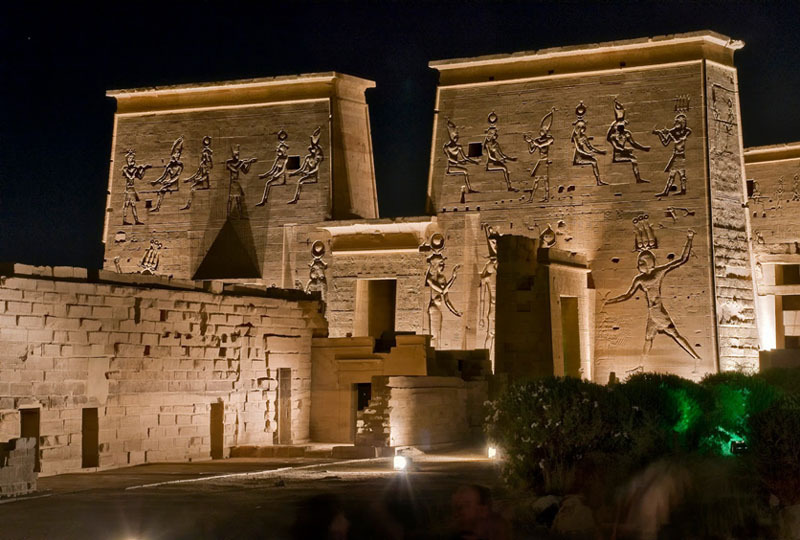 Enjoy an evening of entertainment Egyptian style! 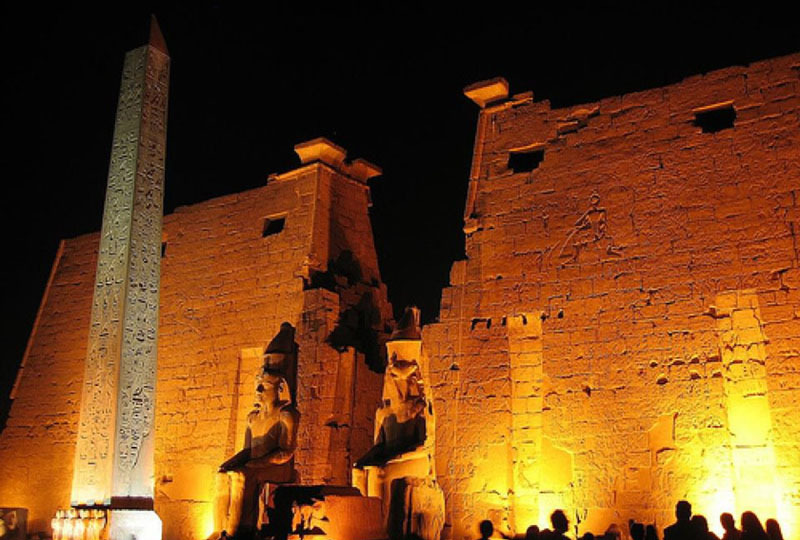 The show begins as you walk along the Avenue of Sphinx, passing through the towering facade into the Great Court. 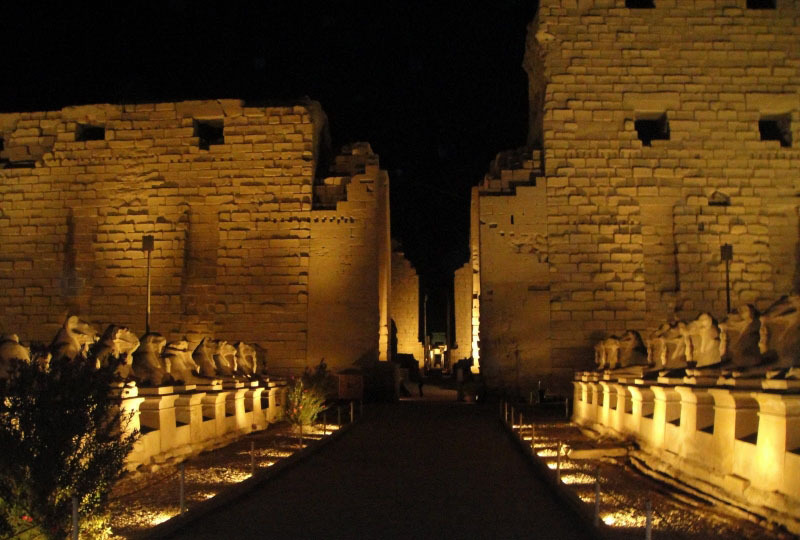 Walking through the complex a booming Pharaoh’s voice narrates the history of Upper Egypt and the New Kingdom as the various additions left by rulers such as King Tutankhamun, Ramses II and Queen Hatshepsut are illuminated against the night sky. 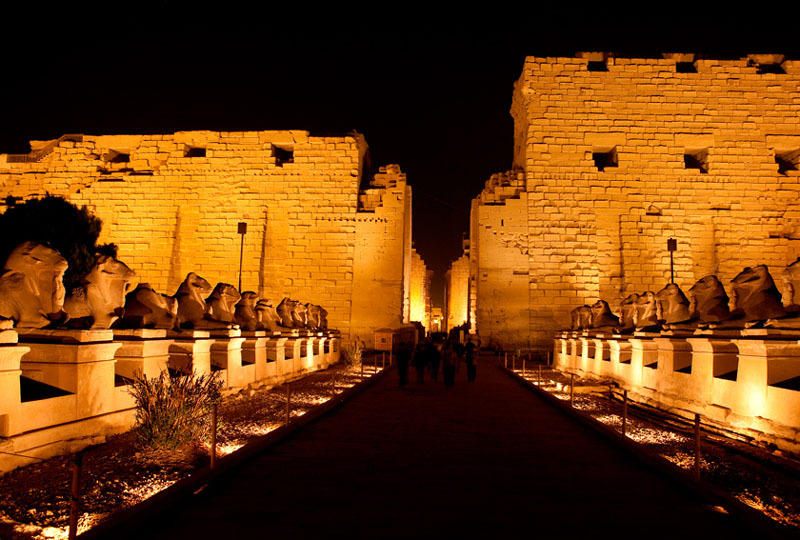 The second part of the Sound and Light Show at Karnak finds you seated overlooking the sacred lake as the complex is illuminated and the story of Egypt continues. Please note, while the show is suitable for all ages, the complex is very dark and commentary loud which younger children may find frightening. 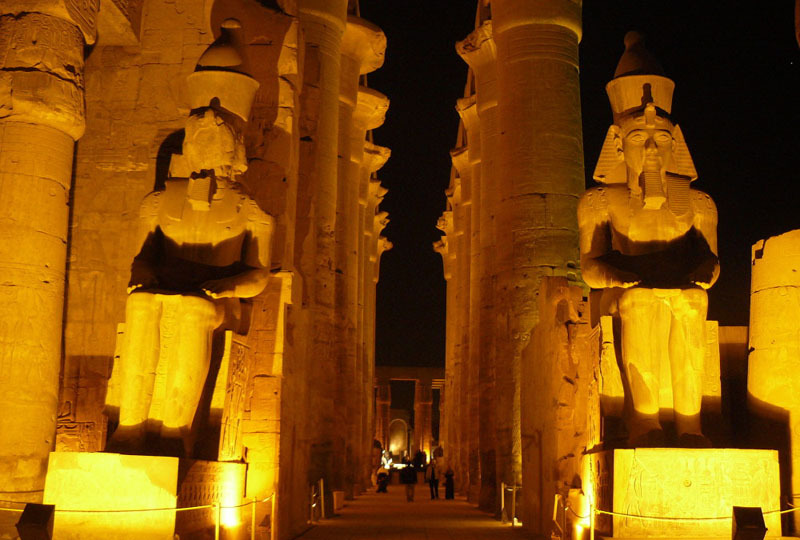 The ground in and around Karnak is uneven and sandy, please where comfortable, flat walking shoes.